There is big relieving news for over 16 lakh students of Secondary School Certificate (SSC) from Maharashtra state where class 10th exams are slated to begin from today. The State education minister Balasaheb Thorat has announced the policy on the ‘Best five’ system for junior college admissions. 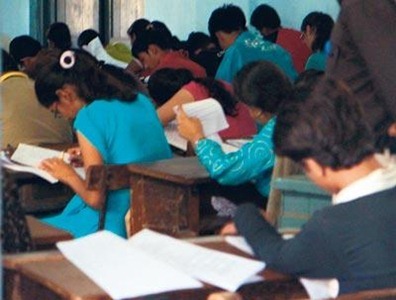 According to this new policy, out of the six subjects that students appear for examination, they can opt to consider the results and performance of only 5 best subject scores while applying for the admission in junior colleges. The students will have a choice to drop any subject among four, namely Mathematics, Social Sciences, Science and Hindi, where they fear less score. However, the languages – Marathi and English — will be compulsory. The New system will be in sync with the ones in the national boards. The CBSE has only five subjects in the Class X board exams, while the ICSE board counts the best five (English plus four others) of the seven subjects that students have to appear for. I feel the above step will also ensure lesser pressure on the students from Maharashtra even if they may be weak in a particular subject. Suppose a student is brilliant in all subjects except Science. He can still cope up with this weakness and compete with other students while seeking admissions on the back of his strength in other subjects. It will also help state students to compete students from other boards to level playing grounds while seeking admissions is well-known junior colleges. It is often a matter of few marks which spell decision of prompt admission in to the reputed colleges without the assistance of fund donation. The over all percentage scored by the student will be based on the total of best scoring five subjects. However, the student will have to pass in all the six subjects. The ‘Best of five’ scheme is for the purpose of relieving the pressure on the student in order to offer leniency in a subject where the student is relatively weak as compared to other subjects and students. Do you applaud the state’s decision in allowing level-playing field to its students in comparison to other state boards of the country? "Best Five – A relief for SSC Students ! ", 5 out of 5 based on 1 ratings. its totally wrong. it will not be much helpful for us. as we are non maharashtrians we cant score good marks in marathi as compare to maharashtrians. so its not helpful for us especially for non maharashtrians. yaaaaaaaaa its awesome , i mean i am weak in maths ,so iam able to drop it ……. if a student fails in 2 subjects… then will the student pass due to best of five policy. No, Anushka Abhijeet Bagul if a student even fails in one subject also, the rule will not be applicable for that student to pass the ssc std x board exams. The student will have to pass in all the six subjects even if this rule is been conducted for only 5 subjects. why izz marathi compulsary azz well. it would be diffecult for de non maharastrians. itz nt like best of five , itzs like best of 3 from de remaining 4 subjects which are usually eassy 4 many students. I don't think dis new system would help much. it should be totally our choice which subjects we want to consider. Yes I too agree u. M also weak in marathi ,marathi should not be included..
Is mathematics is cumpolsury. IF not then is there consider only individual percentage of subject.pls repply me. I Am Soo Happy Guys..
Its Very Important For Me. I M WEAK in marathi….. y r they keeping marathi compulsary… I hav not written anything in that subject. but in maths the marks are out of 150…then how do they calculate marks accordingly. hey how mch did u scored ? English is compulsary…………i don't know that! Is it valid 4 SSC.